Shopping for a bath tub can be a bit overwhelming, mostly because there are so many options available for shapes, sizes, styles, features, and materials. We want to help make the selection process easier by giving you an overview of what is available and what options will work best for your bath! The main reason there are so many options available is that your bathing needs can be vastly different from your neighbor’s needs. Not only are your structural and spatial requirements and limitations a big factor, but you may need or want different features based on how you utilize your tub. Ultimately, each tub needs to be the perfect combination of size, material, features, budget, and style of the homeowner. If you are building a new home, there is a bit more flexibility if you design your bathroom around your ideal tub. Though if you are remodeling, you may be limited by size, weight, electrical outlets and supply, and existing plumbing. It is best to consult with a builder and a plumber before you start shopping for a tub, so you are sure what will work in your space. First things first, let’s figure out what style you are looking for. There are lots of options here, but most people already have a pretty solid idea of what they need as dictated by their space. An Alcove Tub is probably the most common tub style that you will see in most homes. It is ideal for a Tub/Shower making it an economical use of space. In larger homes, alcoves are used mainly for secondary baths or kids baths. In a smaller home, an alcove will likely also be used in the master bath to save space. Alcove tubs can be very versatile, so don’t think you are stuck with a plain soaking tub. Brands such as Kohler, Hydro Systems, and Aquatic offer a variety of features, materials, and options for customization. Technically, Tub/Shower Units are a sub-section of Alcove Tubs. These are usually made from Acrylic, Fiberglass, or proprietary blends of both depending on the manufacturer. One-Piece Tub/Shower units can usually only be installed when a home is being built, because they do not fit through doorways or up stairs. For renovations you will need to use a 4-Piece Tub/Shower Unit, the tub and 3 walls that snap together and are sealed with grout. Tub/Shower units are usually available in White and Biscuit, and can also be ordered with a variety of “tile” designs or smooth walls. Many Master Baths are designed to accommodate tubs that drop into a tub deck. That deck is usually tiled or paneled to match the cabinets. Drop-In tubs offer the widest range of options, materials, and features. Most Whirlpool tubs are drop-in style because the deck allows for the motors to be concealed underneath and serviced through an access panel. Undermount Tubs are similar to Drop-in Tubs in that they are usually mounted in a deck, however they are fixed to the underside of a granite deck. Many tubs can be installed either as a drop-in or an undermount, but it is best to consult the Specification Sheet ahead of time to determine if it will work as an undermount. A Freestanding Tub is a show piece in your master bath! These tubs have been growing in popularity as they become more varied in style and materials. You are not limited to Cast-Iron, Claw-Footed, Slipper tubs any longer! A plethora of styles from traditional to modern in Acrylics, Solid-Surface, Resin, Cast Iron, and Copper, the options seem relatively endless. There are a few important things to keep in mind when you want to add a Freestanding Tub to your bath. Space is crucial, you will need to make sure that the tub fits in the space allowing for the required clearances between the tub and any walls, fixtures or vanities, check your local plumbing codes. Here in North Carolina, 4″ is required between the edge of the tub/tub filler and any wall, vanity, or fixture. Another factor is the weight of the tub you want to install. Some floors could require extra reinforcement to support the weight of a full Freestanding Tub, particularly if you are on the second floor. The plumbing and drain connections is the final important factor to check ahead of time. Work with a licensed plumber to determine what can be installed in your space before you start shopping for a specific style. There are a few specialty styles of Tubs that don’t fall into these categories and are generally less common. One example is a Walk-in Tub, which is perfect for people with mobility or accessibility issues. Walk-in tubs have a door that allows the bather to enter the tub safely before it is filled with water. Another albeit more popular style of tub that we will not cover here is the Indoor/Outdoor Hot Tub. Generally the over-sized, jetted Hot Tubs are sold and installed by swimming pool suppliers, not Kitchen & Bath Showrooms. As there are many styles of tub, there are also many materials those tubs can be made of. Tub Style and budget generally dictate which material you choose, for example, if you want a Freestanding Tub, but only have a $2000 budget, that tub will most likely be Acrylic. Each materials has its own pros and cons, so it is good to know going in what you might want your tub to be made of and if you have a strong preference for one material over another, be sure to account for it in your budget. This category covers two branded products that you are likely to come across if you are searching for a tub for a secondary tub or hall bath. Americast by American Standard, Bootzcast by Bootz are both Porcelain Enameled Steel materials. Both are lighter weight and a cheaper alternative to enameled cast iron. This is usually the builder’s standard for hall baths when the alcove is being tiled. Enameled Steel tubs are usually bare-bones, basic soaking tubs without any additional features or options. Acrylic gives you the best variety for an affordable price point. Just about any style tub you can think of will be available with Acrylic options. Acrylic tubs are light weight, retain heat, and are easy to install. Usually, Acrylic is the builder’s standard in Master Bath soakers and whirlpools, and is the best place to start if you are looking at adding a freestanding tub without breaking the bank. Sometimes Fiberglass is used to reinforce Acrylic tubs. Some cons to Acrylic would be the fact that it can scratch, and most Acrylic has a glossy finish with some people like and some don’t. Acrylic also gives you the most options when it comes to additional features such as jets, air bubbles, grab bars, etc… Many Acrylic manufacturers also offer different options for colored tubs! Fiberglass and Gel-Coat Fiberglass is common among hall bath tubs and Tub/Shower units. Quality and price-point can vary with Fiberglass so it is important to do your research to determine the quality of the specific product you are getting. Kohler’s Vikrell product is a composite material formed at high temperatures from fiberglass, resins, and other fillers to create a solid surface that will not chip or peel. Kohler and Sterling offer tubs, showers, and sinks in this material. In terms of its look and feel, it falls somewhere between acrylic and fiberglass. Kohler stands by this product so much so that they put a 10-year Warranty on it. Enameled Cast Iron offers a wide range of options, colors, styles and it has excellent heat retention. One major consideration to keep in mind with Cast Iron is its weight, it is often too heavy to install on a second floor without specific structural reinforcement or craning the tub into place before the roof is completed. Most commonly, Enameled Cast Iron is used for Drop-ins and Freestanding styles. Victoria + Albert’s Ios Tub made from Volcanic Limestone EnglishCast Solid Surface Material. Solid Surface materials can vary widely depending on the brand, but for the most part they are composites made from a stone or mineral compound blended with resins. The material is warm and luxurious to the touch, retains heat, and is solid throughout, so it will not chip and there is no coating that can crack or peel. Solid Surface materials are often used for Freestanding Tubs and sometimes for drop-ins or undermounts. Some well known brands that utilize Solid Surface materials are Victoria & Albert (EnglishCast), Kohler (Lithocast), & Hydro Systems (Hydroluxe & Composite Solid Surface). This material is going to cost more than a similar bath tub in Acrylic. 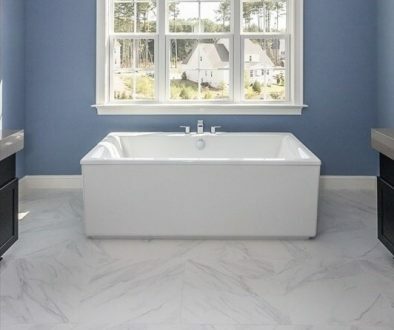 Bath tubs can be made in a wide variety of materials including Stone, Marble, Copper, Wood, etc… Generally these specialty tubs list for $8k-$20k and require special installations to account for weight of the tub. If this is the direction you want to go, it is definitely best to consult a plumber ahead of time and see what is possible! Some of our favorite alternative tubs are from Native Trails. They have 3 freestanding tub styles in their Copper and NativeStone materials. NativeStone is a blended stone material made from all natural jute fibers and concrete. So at this point you have an idea of the size, style, and material of your bath tub, now it is time to decide what additional features you want! This will be the final step in narrowing down your perfect tub. You may also find that if there is a particular feature that is important to you, it may alter your original material or style choice. The most common upgrade for a master bath tub is to make it a whirlpool. For some people, a jetted whirlpool is a must-have and worth the extra cost to upgrade. Whirlpools use powerful, water-circulating jets to create a luxurious and relaxing bath which is great for relieving tired muscles and winding down at the end of the day. Whirlpools require motors and service access to the motor, so make sure you allow for those when designing your deck. Your jets will also need to be cleaned regularly to avoid developing mold or mildew. Whirlpools are best for people who like to bathe often and are looking for strong, therapeutic, massaging jets. Did you know? Many people refer to Whirlpool Tubs as Jacuzzi Tubs. Jacuzzi is not a specific style of tub, but actually a brand which makes whirlpool tubs among other bath tub styles. Air Tubs use smaller jets and blow warm air into your tub, rather than circulating water. Micro Bubbles fill your bath with champagne-like bubbles that surround and gently massage. This is an excellent option if you are looking for a relaxing bath but do not want the high pressure jets of a whirlpool. The other benefit of Air Tubs is that the blower can be turned on after the tub is drained to dry out the jets and prevent mold or mildew. Best of both worlds! If you want both Whirlpool and Air Bubbles as options, you will need a combo tub! Usually it is possible to add other features and options to a combo tub as well. Combo Tubs are often the most luxurious, tricked-out bath tubs you can find, but they can come with a hefty price tag. An In-Line Heater can be added to many tubs on the market today. An In-Line heater helps to maintain the temperature of your bath’s water, it does not heat it beyond the temperature of your hot water heater. These are best for people who like to take long baths. Candles help set the mood when you take a bath, but so can lights in your bath tub! Chromatherapy is just that. Boost your mood and relax in a colorful, LED-lit tub. Most Chromatherapy systems have multiple color and programming options so you can personalize your bathing experience. Many manufacturers offer options for Chromatherapy, including Kohler, Hydro Systems, Acryline, Aquatic, and Oceania. Several tub manufacturers offer systems which play your music through the tub, in fact, through the water itself. For example, Kohler’s system, VibrAccoustic, emits sound waves through the water for a surround sound experience while you bathe! Some tub designs are can be customized with grab bars for stability. This is a great option if you are designing your bathroom to Age-in-Place. Grab Bars make getting in and out of the tub safer and easier. Hydro Systems allows you to customize nearly all of their bath tubs with grab bars. Now that you have hopefully identified your preferred size, style, material, and options, it’s time to put it all together to single out your perfect bath tub. The best way to do this is work with a showroom with access to a wide range of brands and price points. Most showrooms will have a few tubs on display, but have access to hundreds of options, and they know the availability and possibilities best. Go in to your tub search knowing that some combinations may not be available at all price-points, so keep an open mind and identify your priorities and must-have features before your appointment. Know your spatial and structural limitations before you shop as well. Many tubs are made to order, so be sure to order several weeks to a month in advance of when you actually need the tub to arrive. Determine when your tub is needed by speaking to your builder or plumber, for example, some tubs will be needed at the rough-in phase, while others, like many freestanding styles, do not get installed until trim-out. We hope that this guide has helped you in figuring out what you want for home’s new bath tub! 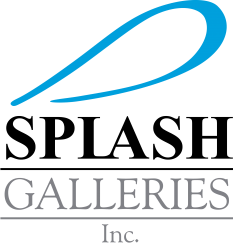 If you still have questions, do not hesitate to contact us here at Splash, or come visit our Showroom in Raleigh, NC! Wow, there sure are a lot of options for bathtubs! My husband and I are remodeling our master bathroom, and one thing I want to get right is the tub. We have had an old tub/shower combo for years, and it is time to upgrade! I really like the look of the undermount tub that you talked about. The way the gray stone frames the basin in that picture looks really fancy. That’s exactly what I want my new bathroom to look like.